Standardized biomedical information provide benefits in conducting research. However, practical use of this information often requires mapping across terminological systems—a complex and time-consuming process. According to National Library of Medicine papers, there are at least 12 standards nd drug databases of import. Nonetheless, a practical approach must be taken when providing opinions regarding the Usual Customary and Reasonable Charge data for drug pricing. 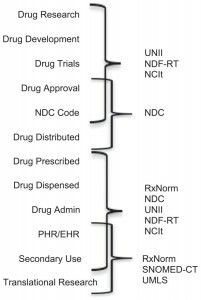 Here is a very brief look at three major Classification Systems an drug pricing expert should know: NDC, GPI, and RxNorm. There are ancillary systems such as GDC and AHFS that an expert witness should be able to discuss. For health care and drug claim reimbursement, HCPCS codes are also important. The Drug Listing Act of 1972 requires registered drug establishments to provide the Food and Drug Administration (FDA) with a current list of all drugs manufactured, prepared, propagated, compounded, or processed by it for commercial distribution. (See Section 510 of the Federal Food, Drug, and Cosmetic Act (21 U.S.C. § 360)). Drug products are identified and reported using a unique, three-segment number, called the National Drug Code (NDC), which serves as a universal product identifier. According to the FDA, “Section 510(p) of the FD&C Act (21 USC 360(p)) now requires registration and listing information for human drugs to be submitted electronically.” NDC can be displayed in 10 digits but proper billing requires that 11 digits of the NDC be used. 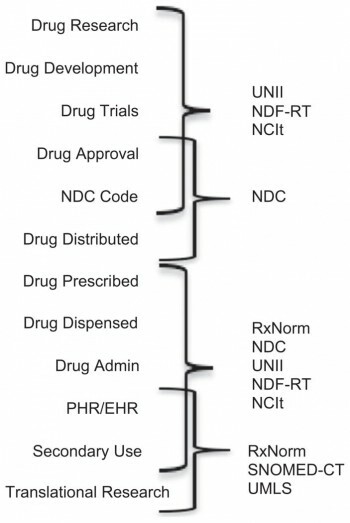 Drug pricing expert analysis is better served with full 11 digit NDC information. NDC includes package size and manufacturer in its taxonomy. 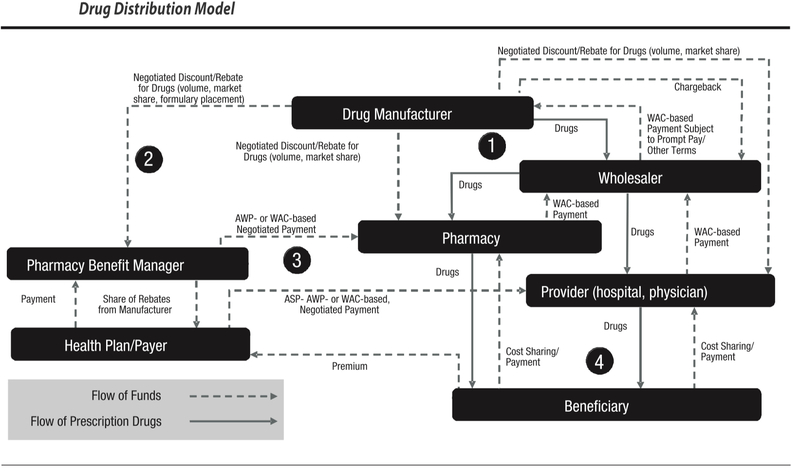 To better understand drug pricing, one should also understand GPI. The Medi-Span Wolters Kluwer GPI (Generic Product Identifier) denotes pharmaceutically equivalent drug products. Products having the same 14-character GPI are identical with respect to active ingredient(s), dosage form, route, and strength or concentration. The GPI does not consider the presence of inactive ingredients. 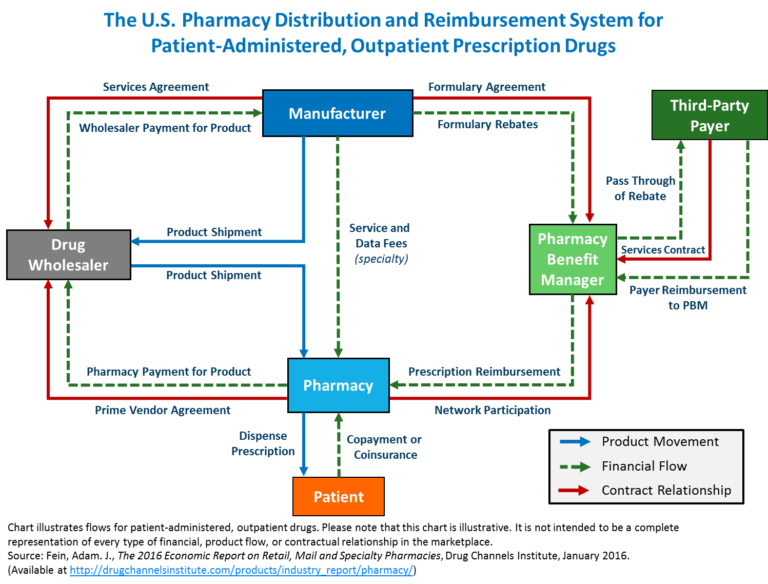 Importantly, health plans (payors) and pharmacy benefit management systems (PBMs) use GPI for formularies. All of these factors should be comprehended in proper drug pricing expert analysis. For example, category 57 of the GPI, Central Nervous System Agents has 98 entries from ALPRAZolam to Xanax XR. One drug can have multiple GCNs depending on product’s available strength, forms, and route of administration. Same across all manufacturers, package size, and brand/generic products. Adoption of RxNorm grows significantly with the advent of the ARRA HITECH Act which provided stimulus funds for Meaningful Use of Electronic Health Records (E.H.R.s). EHRs use Computerized Provider Order Entry (CPOE) and electronic prescribing (ePrescribing) to electronically notify a pharmacy of a physician’s order to fulfill a prescription drug to a patient. Package pricing, average wholesale pricing (AWP), etc. The cost of drugs may vary depending on whether the drug is prescribed and delivered in a hospital (or, a hospital or physician owned ambulatory surgery center) or to an insured who received the medication at a pharmacy. HCPCS codes are used for claim processing. Attributes such as time span are tracked and mapped by code. CMS is now providing the HCPCS Level II code long descriptors in mixed case (instead of in ALL CAPS). Aside from the difference in case, there are no changes to the long descriptors. This change is being made under guidance from the CMS Office of Communications to comply with the Plain Writing Act of 2010, which requires that federal agencies use clear Government communication that the public can understand and use. S codes – There are times a payer may deem the existing codes inadequate to describe an item or service and request an assignment for an S-Code. These are Non-Medicare codes created to identify an item or service when a code was not assigned and approved nationally like other codes sets such as HCPCS and CPT. Medicare Policies & Guidelines (NCDs, LCDs). Drugs are reimbursed by Medicare for medically necessary care. National Coverage Determinations (NCDs) and Local Coverage Determinations (LCDs) facilitated by Medicare Administrative Contractors may provide guidance on conditions and covered medications. Generally, medications are listed alphabetically with an explanation of how precertification is obtained and under which benefit it is covered. While a medication by itself may not require precertification, specific exceptions such as Home Care for the administration of a medication may require precertification, or there may be an exception for the first few days of therapy. Generally both Medicare and Private Payors map to HPCPCs codes.